Put up your hand if you are vegan. Ok, hands down. Put up your hand if you are vegetarian. Ok, hands down. For all you vegans and vegetarians, put up your hand if you have ever been low in the following: iron, B12, calcium. Oh wow! That’s almost all of you! Ok, hands down. 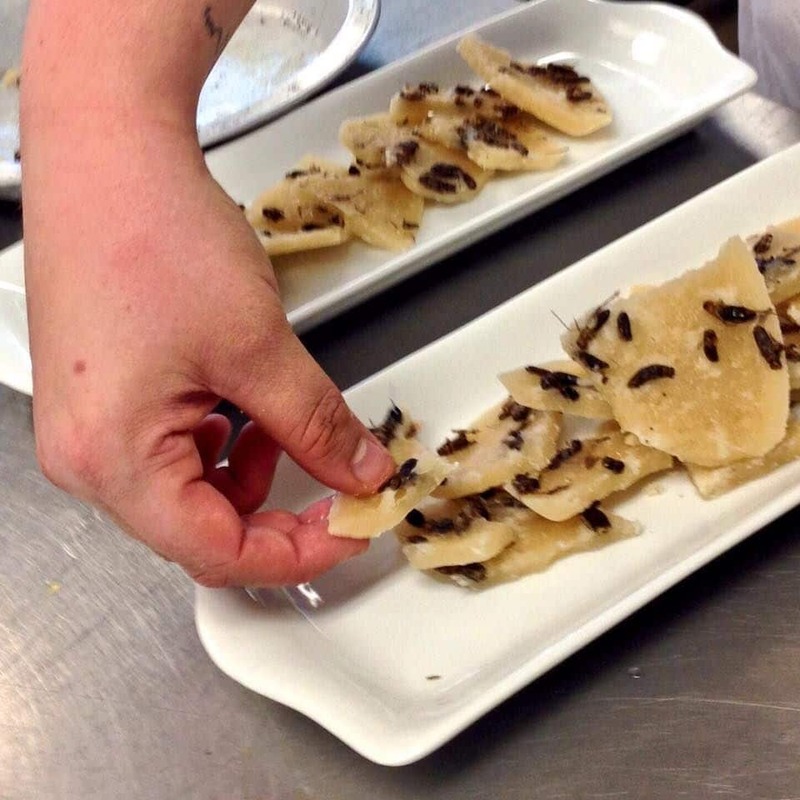 As the person who is often at the outreach/education events for Entomo Farms, I am often asked one of the two following questions: “Do vegans eat insects?” or “Do vegetarians eat insects?” My answer? It really depends on why you have chosen that lifestyle in the first place. I have written a couple of earlier posts about this topic. But this article will look at the nutrient facts a little bit deeper. After reading this article last week in Men’s Fitness magazine, I felt compelled to open the conversation up again. Does part of your breakfast look like this? If you are vegan or vegetarian, how many supplements do you take a day? How much do you spend a week, a month, on your supplements? Not only that, but do you know if your body is truly getting what it needs from the supplements? 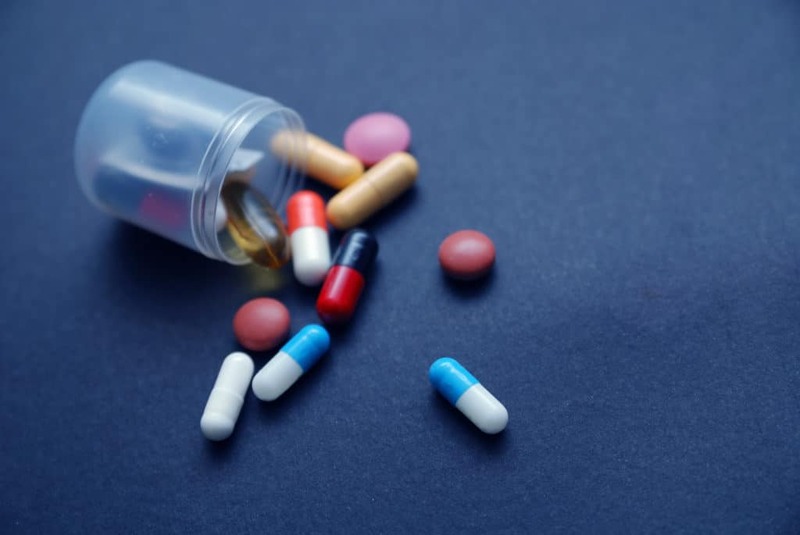 There is a lot of controversy out there about the absorption of nutrients through supplements. Insects, including crickets, are so high in many nutrients–especially those that are mentioned in the article in Men’s Fitness magazine; calcium, iron, B12, and Omega 3s. Other vegan animals such as chimpanzees and gorillas are not deficient in these important nutrients the way that their human counterparts seem to be. Why is that? The answer is simple. 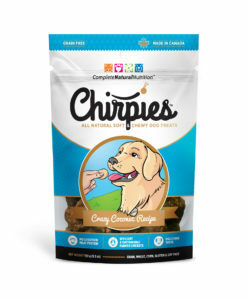 Vegan animals such as chimpanzees and gorillas eat insects (yet they are still defined as vegan), specifically termites. So the question remains. Do vegans and vegetarians eat insects? It depends why they chose that lifestyle in the first place. Are they concerned with the inhumane farming methods of livestock? Are they concerned with the devastation that current farming methods have on our environment? Are they concerned about their health and are trying to eat the healthiest diet possible? If the vegan or vegetarian answered yes to any of the above questions, then chances are, YES, they are interested in trying to incorporate insects into their daily diet. Perhaps that same vegan or vegetarian might care to adopt the term “Geoentomarian” to describe him/herself instead. A Geoentomarian is someone who decides to choose entomophagy (the eating of insects) for the benefit of the environment, and themselves. 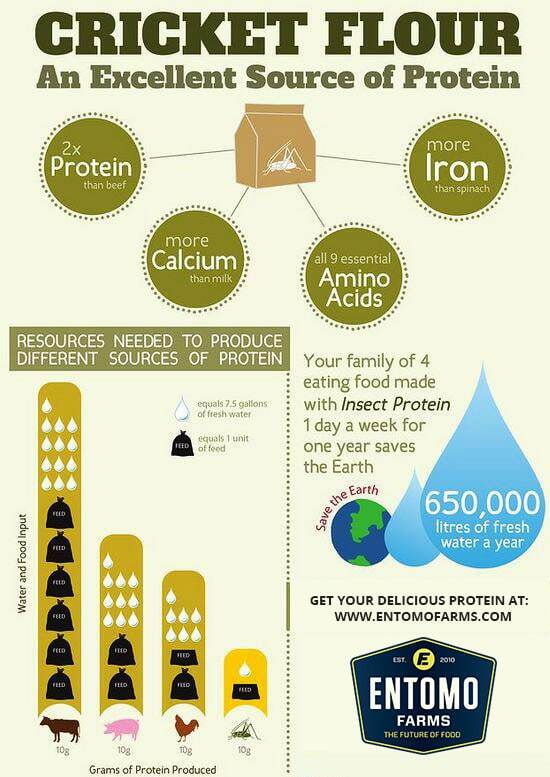 Insects are the most sustainable protein source on the planet and require far less resources than any other source as well. 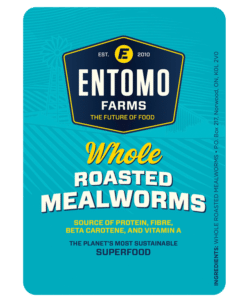 The insects at Entomo Farms are raised in a free-range farm and are harvested only at the very end of their life cycle. Do your homework, look at all the facts. That soy protein that you’re consuming… is it all it’s cracked up to be? Those supplements you’re popping… are they doing what they said they would do? That hemp protein you’re mixing in… how many litres of water did it take to grow? 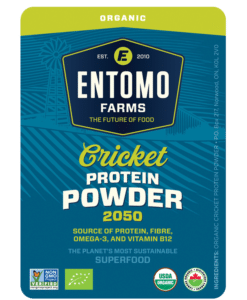 One of the coolest things about crickets is that you can get it in powder form–that way you can add it into anything… smoothies, sauces, patties, breads… you name it. The recipe options are endless. Do yourself and the planet a favour. This entry was posted in Blog and tagged B12, calcium, cricket flour, cricket powder, eat bugs, eat clean, eat crickets, eat insects, Entomophagy, geoentomarian, healthy eating, iron, nutrients, omega 3, vegan, vegetarian, Vitamin D.